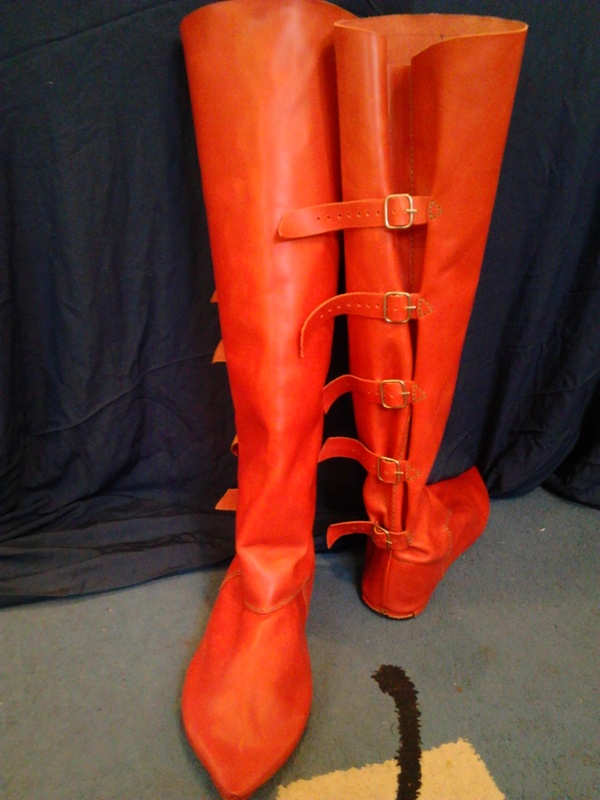 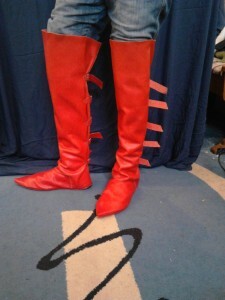 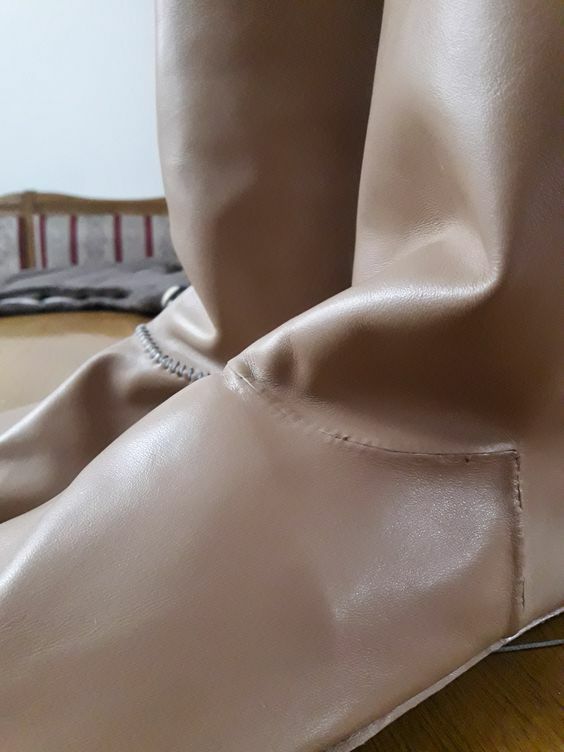 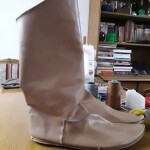 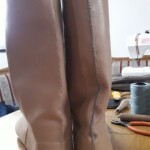 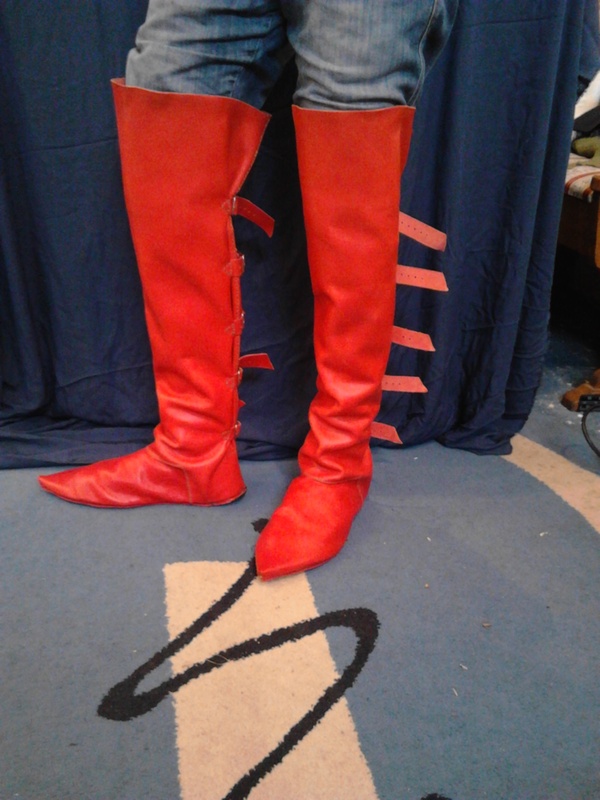 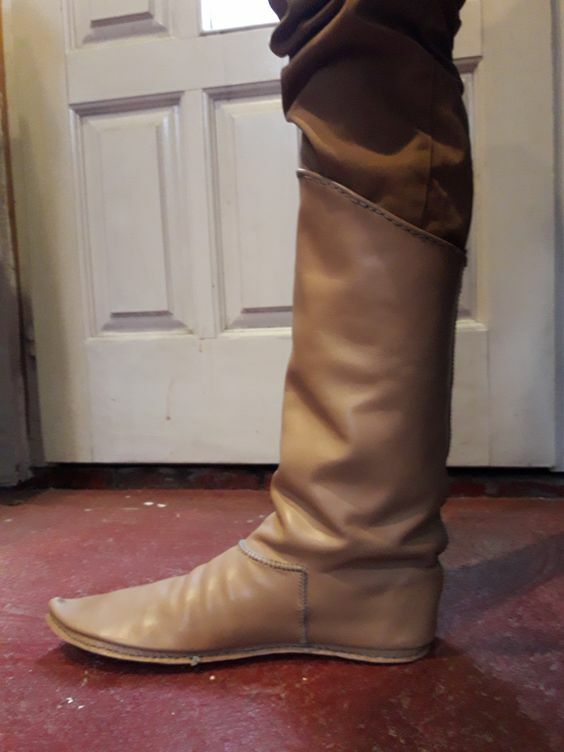 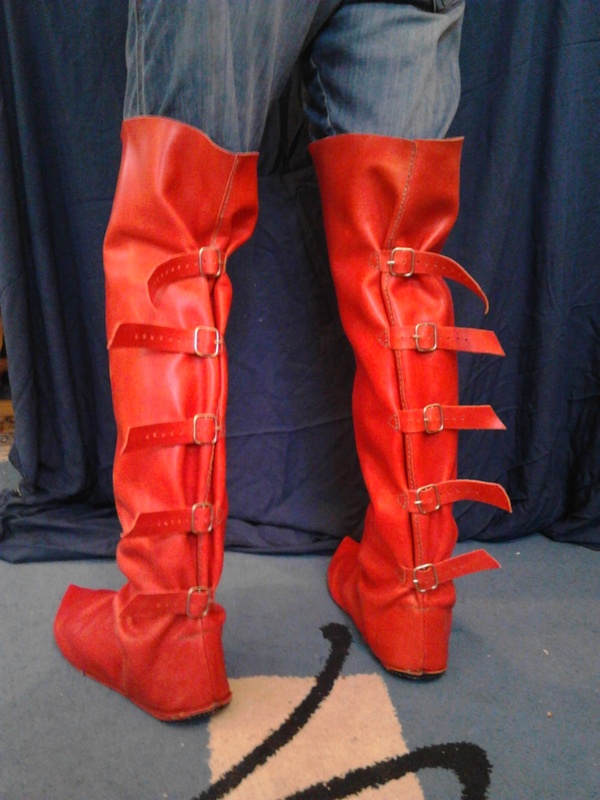 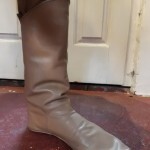 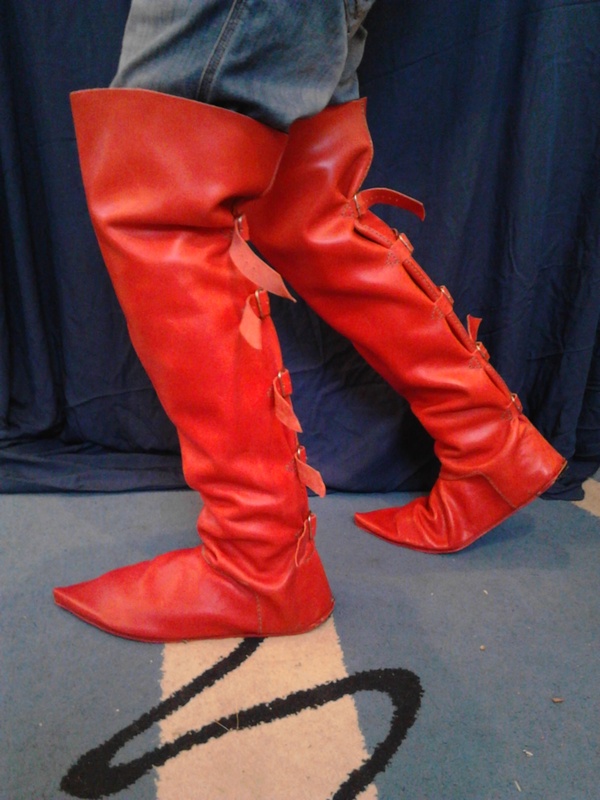 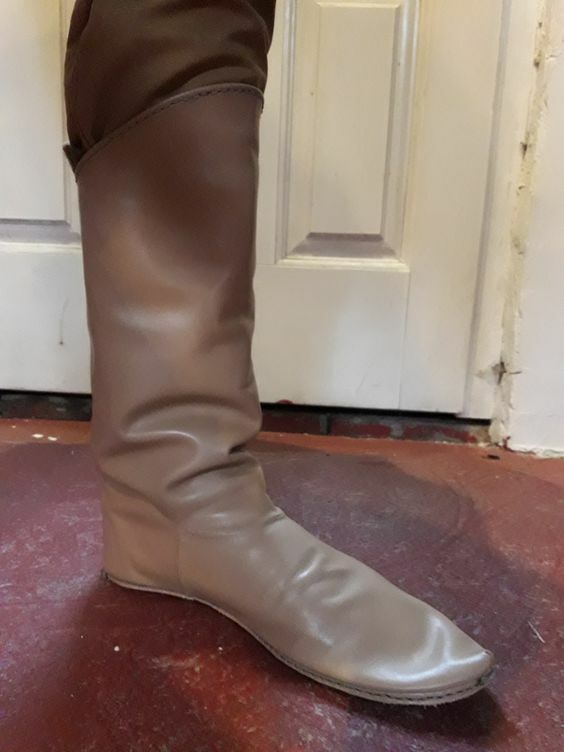 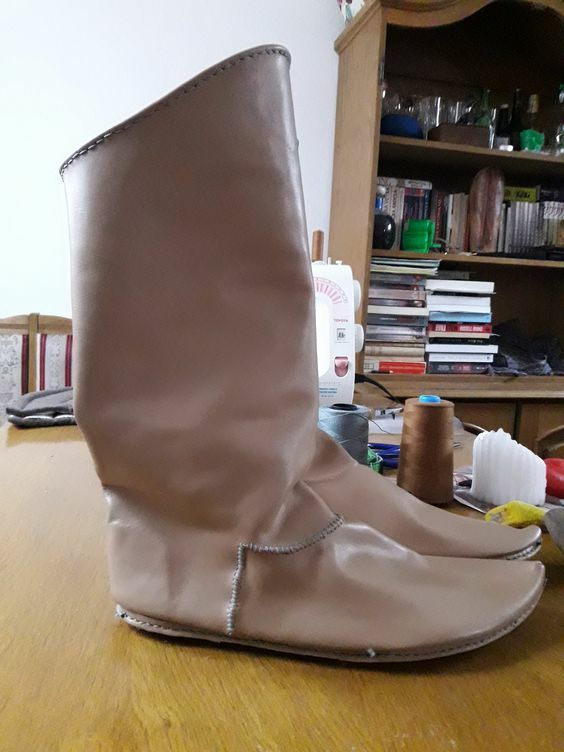 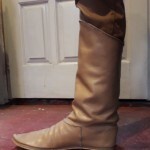 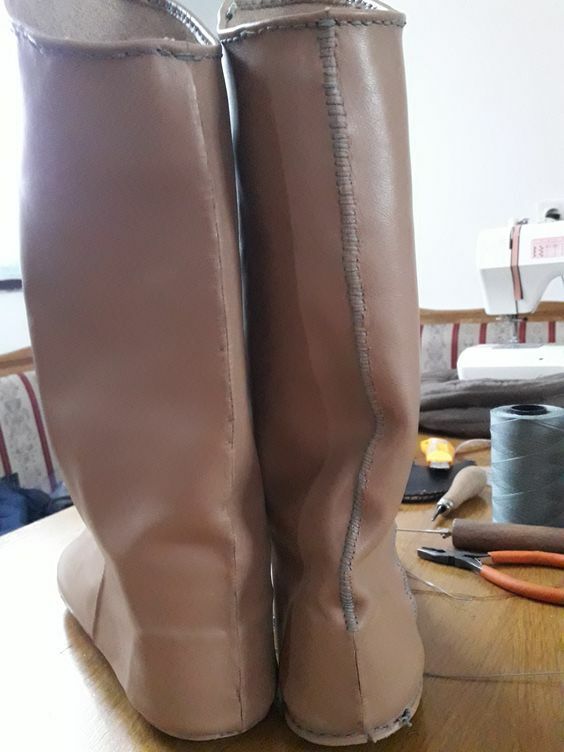 Hi guys, I recently finished a second pair of medieval tall boots, so I decided that it’s finally time for a short article about it. 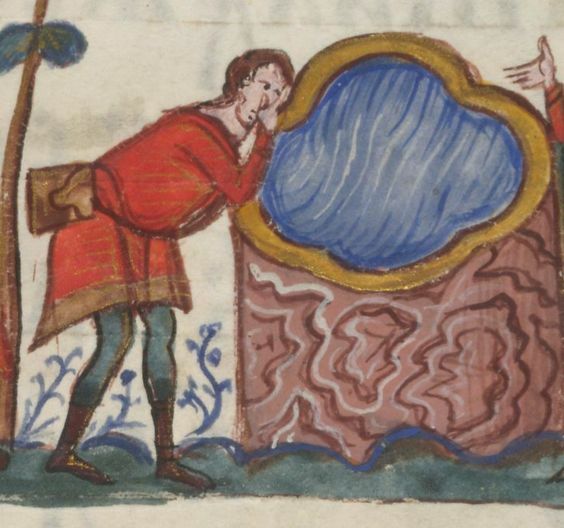 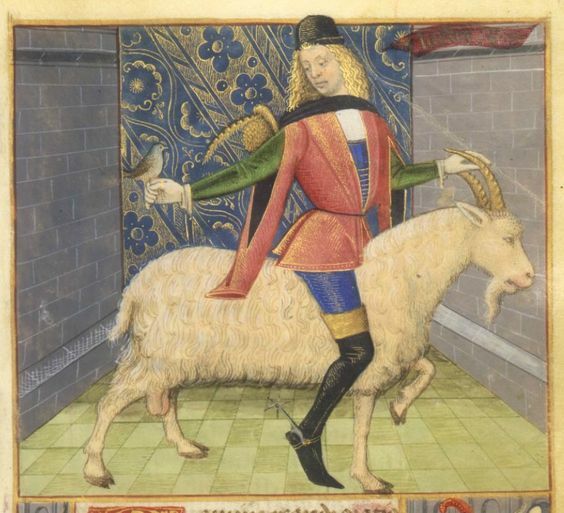 There’s not a lot to say really. 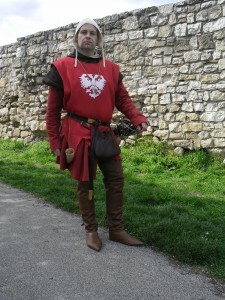 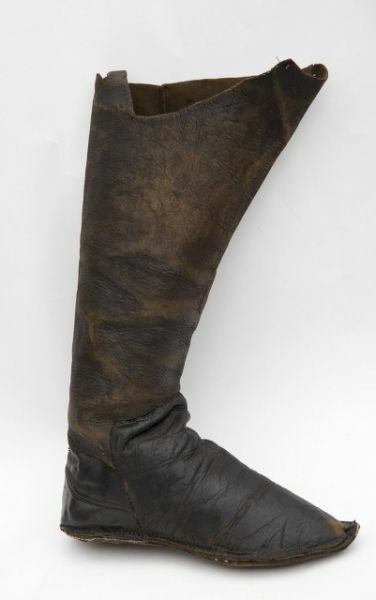 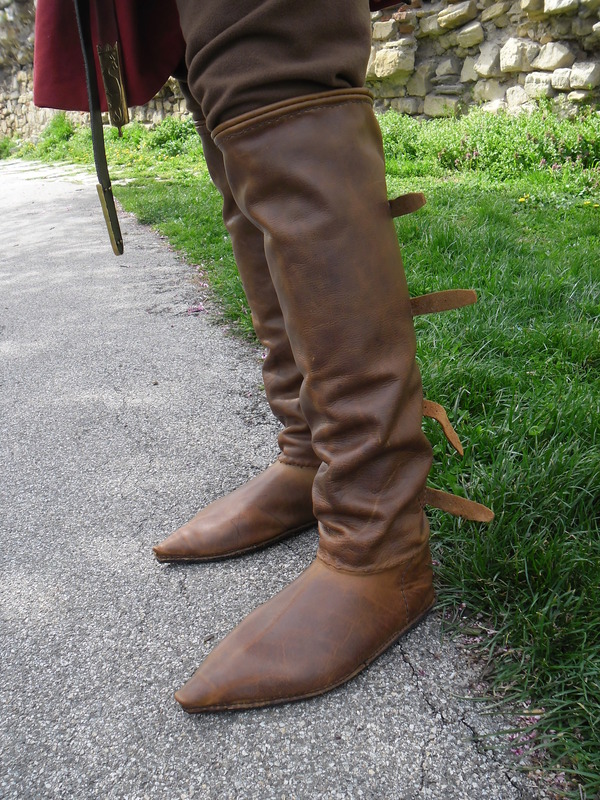 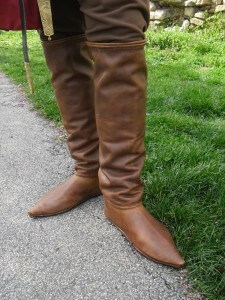 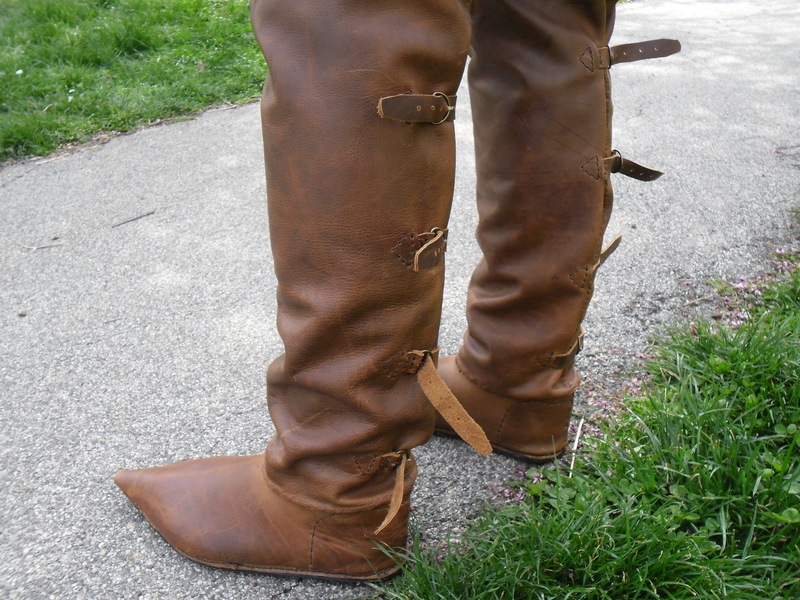 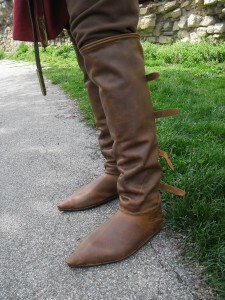 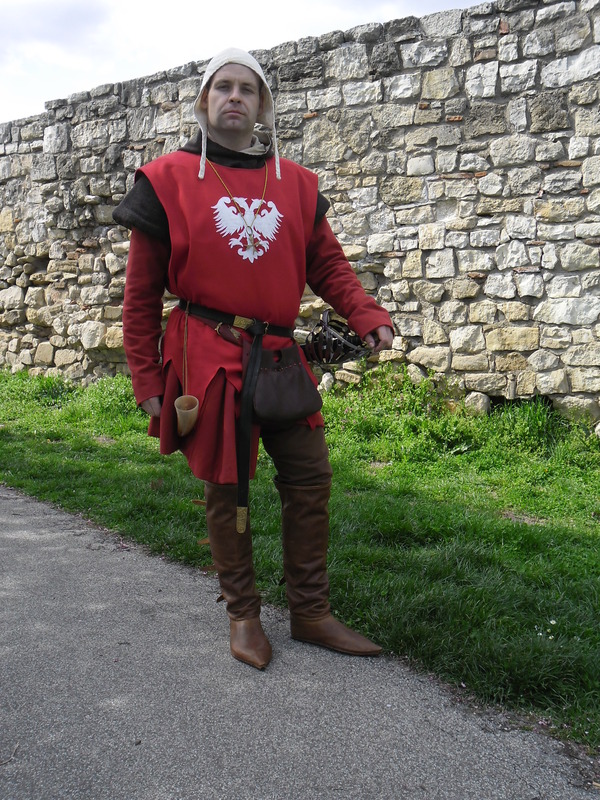 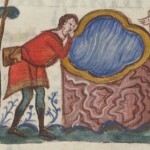 Those type of boots appeared at the end of 14th century and remained in style well over the 15th century. 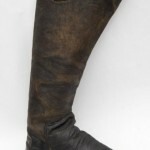 Initially they were used for hunting and travelling. 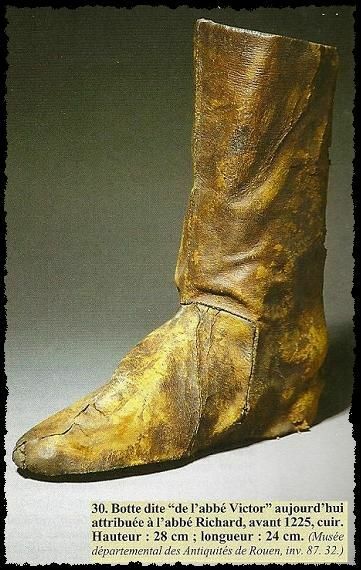 With the passing of time however, they became a symbol of wealth and royalty, which made them popular among the general population in all of Europe. 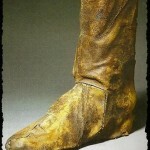 By the mid 15th century they had become a part of the nobleman’s outfit which lead to better models and more decorations. 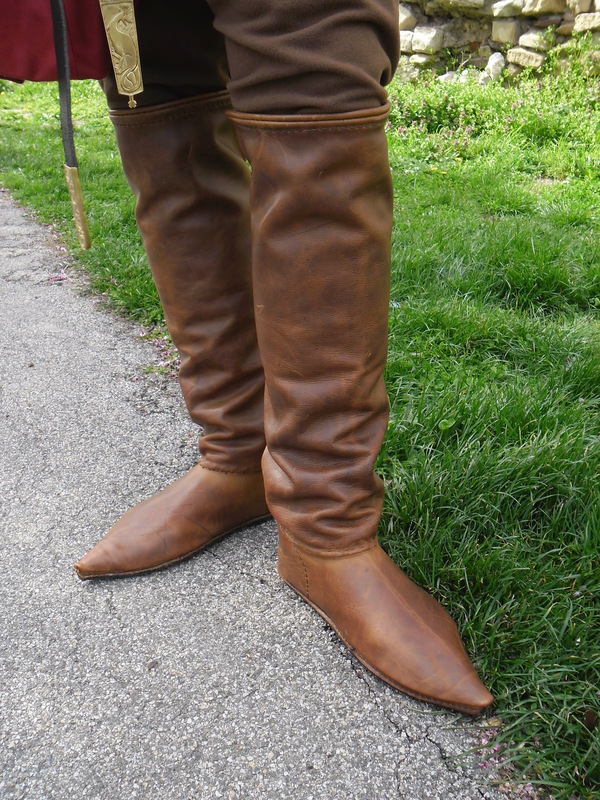 Here you can see two models that I made – a practical brown pair for hunting and travelling, and a fashionable red one for riding, hunting and impressing ladies.